Private, waterfront location, includes private boat slip & separate garage space. 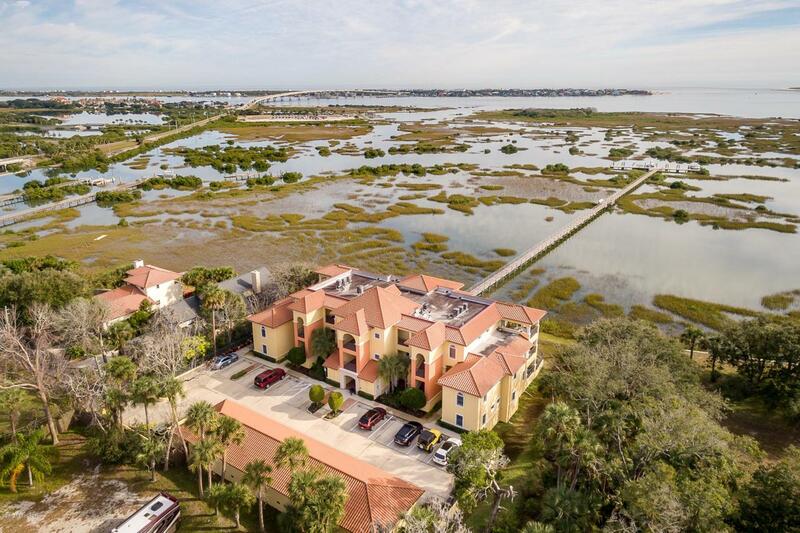 Spacious, ground floor, south corner location overlooks St Augustine Inlet & the Bay. The fully equipped, gourmet kitchen opens to living & dining areas, all with water views! Large master suite features water view from bed, walk-in closet & bath with double vanities, soaking tub & tiled shower. Has Water softener & Reverse Osmosis systems and new tile throughout in 2012. Very large & private patio with views toward Matanzas Bay. New intracoastal dock 2017 is 750' long with 134' T-Head at end for boat slips, each with 13' beam capacity. Private garage has electricity and is separate & private from other spaces. large private covered patio. The condominium has an elevator serving floors 1,2 & 3.